This is a composite image of approximately 15-20 separate images and also a few brush strokes here and there. The model was originally hugging an ottoman in the living room. 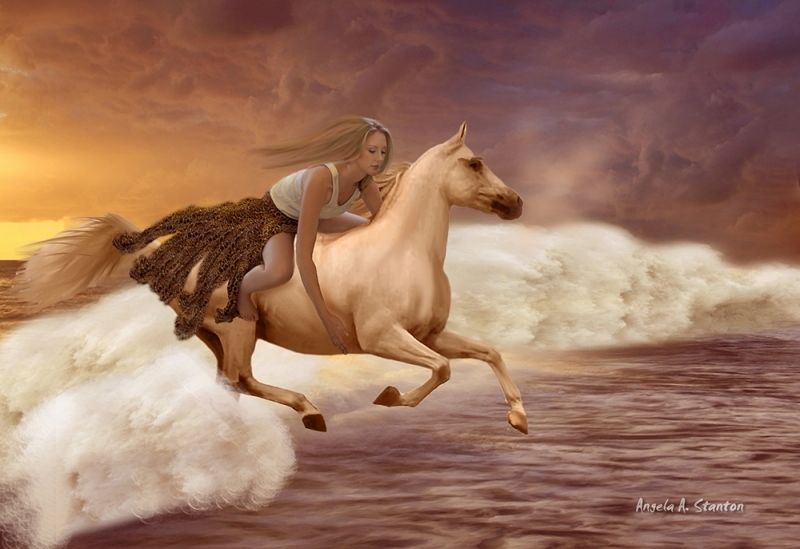 I photographed the horse separately running free in a field, the skies are made up of 5 different sunsets, the water sprays are made of two different kinds of photos and cloning as well as a bit of painting. I also painted the horse's foggy air from the work.